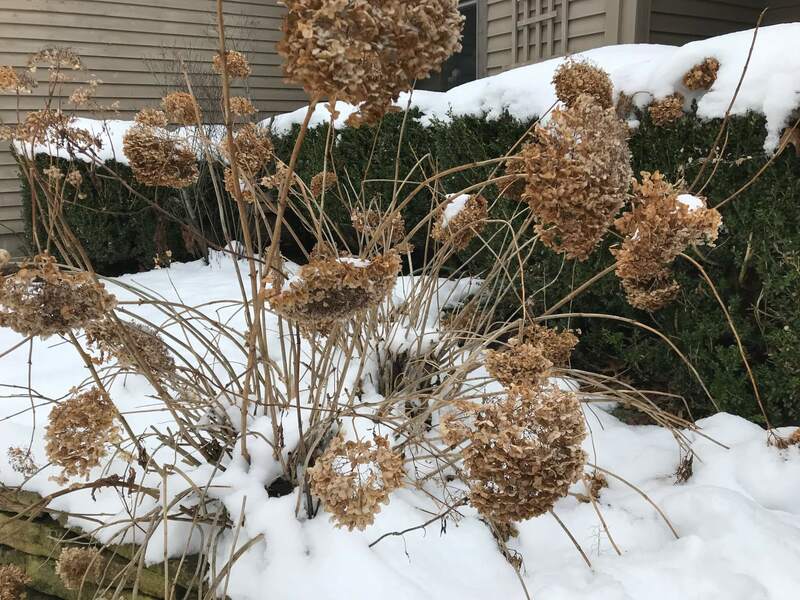 Snow provides insulation for garden plants. Though your aching back may not agree, recent heavy snows actually will be good for your garden and landscape. Snow provides moisture as well as protection from cold and wind. Snow is an excellent insulator against low temperatures and excessive winds. The extent of protection depends on the depth of snow. In addition, the soil gives off some heat so that the temperature at the soil surface can be much warmer than the air temperature. One study found that the soil surface temperature was 28°F with a 9-inch snow depth and an air temperature of -14°F! On the other hand, it is possible to have too much of a good thing. Some evergreens will suffer from too much snow load. The weight of snow and ice can bend or even break branches, particularly on multi-stemmed shrubs, such as arborvitae. If needed, snow should be gently removed by brushing away with a broom or rake. Do not try to remove ice, since it is more than likely that you will break the stems. Multi-stemmed shrubs that are known to be susceptible to breakage can be bound with twine to hold branches together to prevent them from splitting apart. Of course, there’s still more winter to come before we’ll know how well our plants fare. In the meantime, rest assured that there really is a silver lining to this storm cloud.